When it comes to buying and selling things on Amazon—whether you’re moving computers, clothes, or bobbleheads—you’ve got to know when and when not to ship your products. A savvy entrepreneur has an arsenal of weaponry at their disposal—tax loopholes, outsourcing, and efforts toward automation, to name a few. While business owners often leverage these commonly known tools, many do not consider how many thousands of dollars they could save by planning shipments around calendar-based fluctuations. When it comes to profit margins, this knowledge is a business owner’s ace in the hole. It’s all Chinese to me...or is it? It’s understandable that they would not take this into consideration. After all, important dates in the Chinese lunar calendar (yes, there’s more than one) are probably not written down in your planner. There’s also the fact that other, non-cyclic, shipping-related concerns loom on the horizon, and often become the centerpiece of media discussion: natural and man-made disasters, political events, and economic shifts, to name a few. For example, Trump-imposed tariffs are going to throw an additional wrench into your business plans...even if you see them coming (and we all do). Wouldn’t it be nice to have some evergreen advice that you could rely on year in and year out, without having to be thrown off guard by the constant shifting of global events? Concrete planning advice on international freighting cadences can save you thousands of dollars. In plain (rhyming) English, if you know when to ship, your profits won’t dip. Now who doesn’t want to save thousands of dollars? Before we get into the specifics of how the calendar can make or break your bottom line, if you need a starting point for the Amazon game, check out our FBA shipping resource guide. It’s the BS-free explanation of how to get your beak wet. 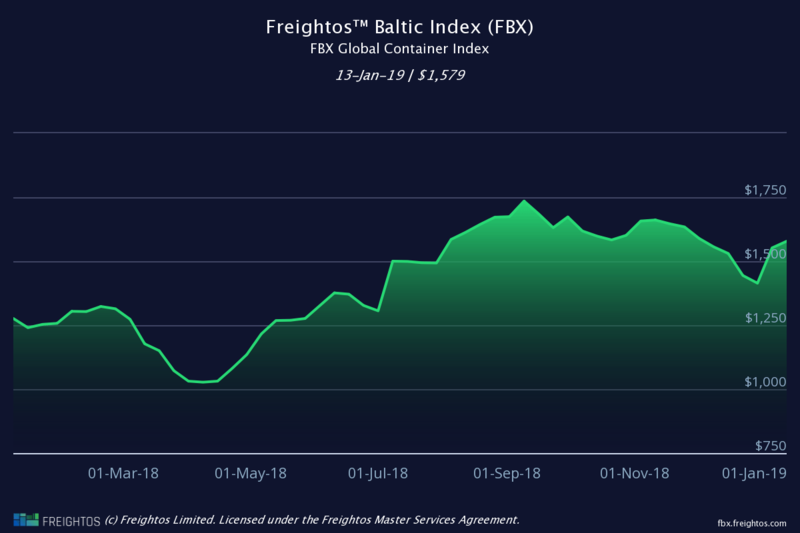 Unlike other guides, it covers the topic of freight in-depth—and as you’ll see in this article, freighting rhythms are one of the most important things to consider in terms of improving your bottom line. But to return to the topic at hand—how knowing the calendar can save you money—it all boils down to one business basic. Just remember that shipping—like most components of business—is all about supply and demand. When there’s room on the plane or boat, prices go down. When space is tight, prices go up. So take a look at the calendar and plan accordingly. The seasons are on your side, because last time we checked, they’re pretty consistent. In fact, seasonality can cause more change than oil prices when it comes to shipping, but it’s far less volatile. Let’s walk through the year. Chinese holidays operate along a lunar calendar, but thankfully in this day and age we don’t need a telescope and abacus to calculate what days those festivals fall out on the Western calendar—Google will tell you. Additionally, the American holidays will play a part in the seasonal cadence game. Around January, people are returning back to their normal working lives. Shipping picks up again as business owners replenish their stock, so prices start going up as well. Then Chinese New Year hits, this year around February 5th. Gung hay fat choy! Picture Thanksgiving for two weeks straight. Red envelopes with cash are passed around, fireworks are lit, families gather to feast on traditional dishes...and nobody is available to ship your goods. Once those festivities are over, prices will start to drop again. But then comes the Dragon Boat Festival, which falls around June 7th this year. Your truckers, captains, and pilots can’t deliver the goods because they’re too busy rowing a colorful longboat down the Yangtze. Throughout the rest of the summer, there will be some market volatility, especially around August. Once September hits, prices will start to rise again, especially with air freight. This price increase is both because new consumer electronics are being released, and the American holidays are once again looming on the horizon...you know, Black Friday, Christmas and New Year’s. To that end, prices skyrocket in November as consumers and businesses are engaged in the frenzied economic dance of the holiday season. Keep informed of general rate increases, natural disasters, and other concerns. Aside from the calendar, there are some other things to keep in mind, like the pattern of rate increases throughout the year. For ocean freight, rate increases tend to take place at the beginning of the month. During peak season, rate increases can also occur during the middle of the month. To that end, you’ll save money booking your shipments in the last two weeks of the month, no matter what time of year it is. Sign up for the JOC.com daily news email about carrier capacity. If you know what’s going on in the game, you’ll be able to gauge whether prices are going to go up or down. Follow the news, unless you have a crystal ball. Keep track of tariffs and carrier bankruptcies, because these events will also impact pricing. For example, at the time of this article (early 2019), many people are trying to beat impending tariffs by getting all their goods in now, driving up prices. It’s like a stampede of Zebras running away from a toupee-wearing dude aiming a hunting rifle and standing through the sunroof of an oncoming Jeep. Of course, natural and/or manmade disasters will also throw a wrench in your business plans, like tsunamis, monsoons, and events like the 2015 Tianjin port explosions. Know your goods and plan ahead. You’ll want to plan ahead and put some padding around your shipping, but not too much. Otherwise, you’ll pay for storage fees. Know the timeline around shipping. For ocean freight, delivery from Asia to the West Coast will take 13 to 15 days port to port, followed by a few more for clearance and delivery. For goods traveling from Asia to the East Coast, you’ll need to plan for 28 to 35 days, plus a few more for clearance. There are times of the year, like the first week in December, when shipping to either coast (East or West) will cost the same, despite the time differential. When it comes to air shipping, you’ll pay more for direct routing on a passenger or cargo plane, but indirect freight forwarding managed by a competent company may save you money, even if adds time—you’ll have to balance out what’s worth more to you. Stay in the know about all these trends. Become an informed freight consumer by signing up at freightos. You’ll be able to compare the prices of more than 75 different providers, with complete, instant clarity about transit time and costs.